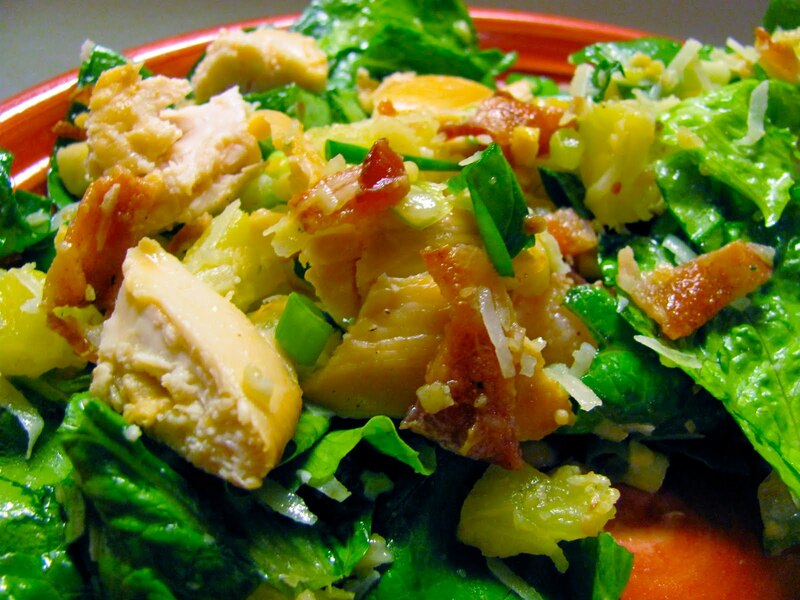 I found this great salad and chicken recipe from Eat at Home. She got it from For the Love of Grub. Pairing the chicken with the salad gives you a sublime main dish! Combine all the ingredients, except the chicken. Pour the marinade over the chicken and refrigerate. The longer the chicken marinates, the better. (up to 24 hours) Cook them on the grill or bake them in the oven at 350 degrees for about 20 minutes. While the chicken cooks, you can put the salad together! ** To toast coconut: Pour the 1/4 cup shredded coconut into a small frying pan. Toast on Medium heat, stirring occasionally, until coconut is browned. Watch carefully!! It can go from toasted to burned pretty quickly! *** The original recipe called for 1/4 cup of pineapple juice. I ended up using more, but didn't measure. In a large bowl, combine the salad ingredients. Add more or less of the ingredients to fit your taste! In a container with a tight fitting lid, combine the other ingredients. Shake to mix. Pour over the salad right before serving. Serve Hawaiian Chicken over the top! 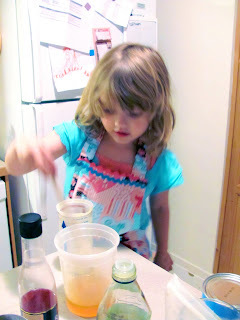 Daughter preparing dressing! See- it's easy! Your daughter is so cute- love to see little ones helping in the kitchen! This salad sounds unique & delicious. 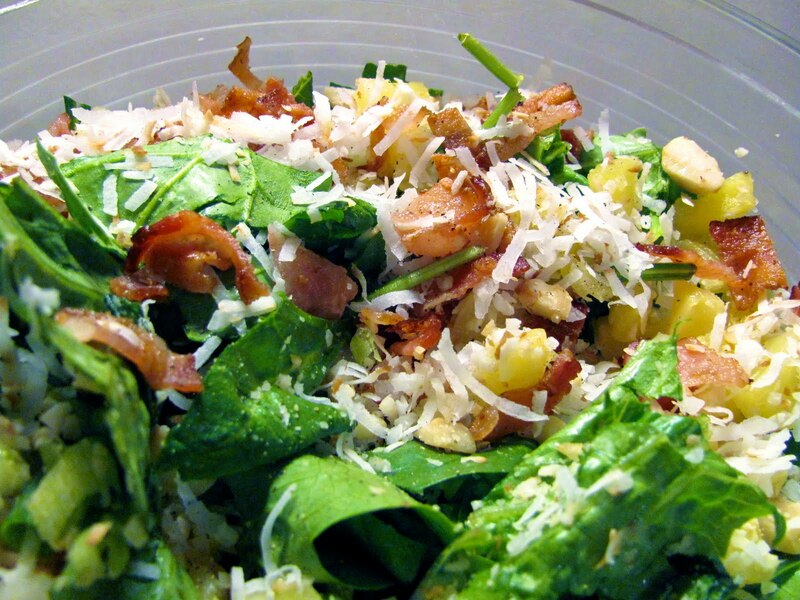 The pinapple sounds great in the salad. I never would have thought of that. I love fruit in salads. It's the only way I can eat them! This is a fantastic salad! I really love the flavors! So bright and fresh and summery. 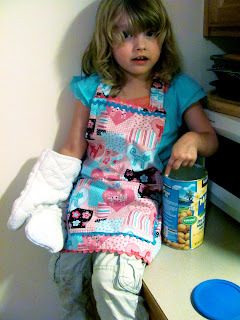 Your daughter is adorable - I can't blame her for invading those nuts - so yummy. Wow... What a nice mom and daughter bonding... Just like a dad and his son fishing.... Love the salad! Something new! vibrants colors!! Im trying this one..... Stopping by from SITS!